Looking for deals in Seoul? Located right in front of Gongdeok Subway Station which links to Incheon International Airport, the luxury 4-star GLAD Hotel Mapo boasts a great location with city views for travellers wanting to... Cleanliness, staff readiness to help at all times, especially at the reception. ENA Suite Hotel Namdaemun provides air-conditioned accommodation in Seoul. With free WiFi, this 4-star hotel offers a 24-hour front desk and a business centre. Location was good, not too close to Myeongdong but within walking distance, and very close to airport shuttle bus stop, its just a few minutes walk. New hotel, room was spacious and very clean. Away from major street so it was quiet enough. Located between floors 76 and 101 of Lotte World Tower, Signiel Seoul boasts panoramic views of Seoul in all 235 rooms. Out of this world experience. You fell like you arrived into future. Outstanding modern clean design that feels warm and like home at the same time. Now let's talk about the VIEW.... breathtaking and definitely not for someone who hates heights. We loved the view on the centre of Seoul from our room on the 93rd floor. Marble bathroom was dreamy and filled with diptyque goodies. Food was like in a michellin star restaurant every time. So yummy, tasty and delicious. Generous and kind staff with smile made the whole visit really unforgetable. Spa was amazing really enjoyed swimming pool and sauna. I would also highlight the opportunity to get free snack and drinks at the certain times of the day. Really great value for the money and so worth it. Last but not least if you love shopping you don't even have to get out. Just take the elevator to the ground and Lotte World Shopping centre is there. Shop till you drop. x We will definitely come back next time. Thank you! 700 metres from Namdaemun Market, Aloft Seoul Myeongdong is situated in Seoul and features a fitness centre and a bar. Duvet was super comfy and the shower and toilet were great!! Set in the central area of Seoul, The Shilla Seoul is the Forbes-nominated 5-star Hotel of 2019. The hotel features 6 dining options and a full-service spa. Exceeded expectations! I loved every minute of staying at Shilla. 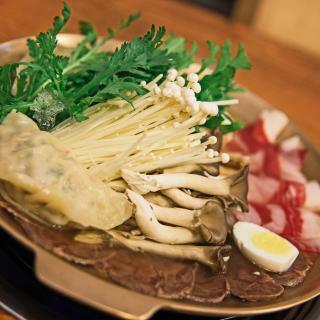 RYSE, Autograph Collection is located in the bustling Hongdae district, 300 metres from Exit 9 of Hongik University Subway Station (Line 2, Airport Railroad and Gyeongui-Jungang Line). RYSE is a very customer oriented hotel. Boasting a garden, Tong Tong Petit Hotel offers accommodation in Seoul, 200 metres from Jongmyo Shrine. The property is close to Gwangjang Market, Bangsan Market and Dongdaemun Market. I love the staff,they were super nice and super friendly. Situated in the Mapo-Gu district in Seoul, L7 Hongdae offers 4-star rooms with free WiFi. Among the various facilities of this property are a fitness centre and a bar. There is a restaurant. Clean room & Delicious breakfast. Lobby locate at top floor is very special. GLAD Gangnam COEX Center is located next to Exit 1 of Samseong Subway Station (Line 2) and houses a fitness centre, lounge and front desk open around the clock. The location is fantastic - easy to get to. Located only a 3-minute walk away from Seolleung Subway Station (Line 2 and Bundang Line), L7 Gangnam features a fitness centre, conference rooms and a restaurant. The room is clean. I stayed in the city-view side, it is okey, I wonder what the park view is like. Conveniently located 250 metres from Euljiro 3-Ga Subway Station (Line 2 and 3), Nine Tree Premier Hotel Myeongdong 2 houses an on-site buffet restaurant, a bar and a fitness centre. An excellent hotel, with great location and free of charge services. Located in Seoul, 500 metres from Jongmyo Shrine, Makers Hotel offers rooms with air conditioning and free WiFi. Located in a central area. Overall very clean and hotel personel was very helpful. Established in 1960, Metro Hotel is the first government-registered tourist hotel that has been providing comfortable and convenient rooms for both international and domestic visitors. Location is very good. All sort of meal Place and near to Subway station. Within a minute stroll from Euljiro1ga Subway Station (Line 2), Small House Big Door offers brightly designed rooms. Free WiFi is accessible throughout the hotel. I love the decor and attention to detail. It is like sleeping inside a beautiful design project. Situated in Seoul, 1.5 km from Mario Outlet, Hotel Isabelle has a number of amenities including a spa and wellness centre and free WiFi. Staff were kind. Spacious and well functioned room. Featuring a garden, Courtyard by Marriott Seoul Botanic Park is located 12 km from Hongik University in Seoul. Perfect location as the hotel is 5 min to subway station and 30 min to the Gimpo airport. Providing free WiFi, The Hotel Young Inn is set in Seoul, 1.8 km from Myeongdong Cathedral and 1.9 km from Namdaemun Market. Among the various facilities of this property are a garden and a terrace. The location near Namsangol Hanok Village in fact its just in front of the hotel. Grand opening from September 2018, Lotte Hotel The Executive Tower features accommodation with city views. Complimentary high-speed wired and wireless internet are available. Fantastic service by kind, polite and attentive staff. Tmark Grand Hotel Myeongdong enjoys a convenient location in front of Hoeheyon Subway Station (Line 4) and is 750 metres from the popular Myeongdong shopping area. We loved our stay. The room was spacious and the beds so comfortable. The room was perfectly clean. Located a 4-minute walk away from Exit 1 of Euljiro 1-ga Subway Station (Line 2), A First Myeongdong is 5 minutes away from Seoul City Hall. The hotel is very nice and the workers are very cooperative. What are the best hotels in Seoul near Myeong-dong? Some of the best hotels in Seoul near Myeong-dong include Hotel28 Myeongdong, Aloft Seoul Myeongdong and Myeongdong Soo Guesthouse. What are the best hotels in Seoul near Incheon International Airport? 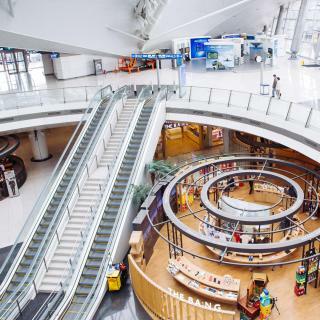 Travellers who stayed in Seoul near Incheon International Airport (ICN) have said good things about Incheon Airport Transit Hotel Terminal 1, Grand Hyatt Incheon and Best Western Premier Incheon Airport Hotel. What hotels in Seoul are good for couples? These hotels in Seoul are highly rated by couples: Park Hotel Yeongdeungpo, Seoul, Tong Tong Petit Hotel and Courtyard by Marriott Seoul Botanic Park. 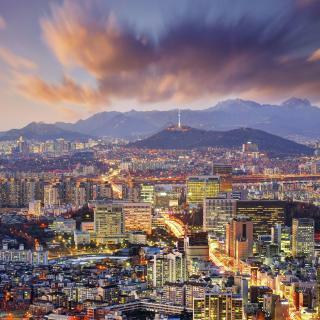 What is the best neighbourhood to stay in Seoul? Myeong-dong, Itaewon and Dongdaemun-Gu are popular with other travellers visiting Seoul. On average, it costs MYR 320 per night to book a 3-star hotel in Seoul for tonight. You'll pay on average around MYR 435 if you choose to stay in a 4-star hotel tonight, while a 5-star hotel in Seoul will cost around MYR 1,335 (based on Booking.com prices). What are the best hotels to stay in Seoul? Hotel28 Myeongdong, GLAD Hotel Mapo and G2 Hotel Myeongdong are some of the popular hotels in Seoul. How much does it cost to stay in a hotel in Seoul? On average, 3-star hotels in Seoul cost MYR 403 per night, and 4-star hotels in Seoul are MYR 542 per night. If you're looking for something really special, a 5-star hotel in Seoul can on average be found for MYR 1,229 per night (based on Booking.com prices). What hotels in Seoul offer an especially good breakfast? 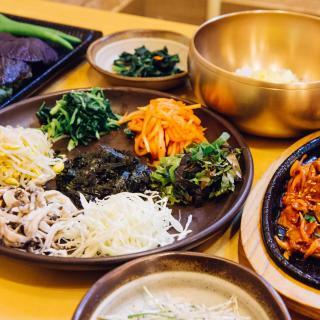 For hotels in Seoul that serve up a highly-rated breakfast, try Tong Tong Petit Hotel, Courtyard by Marriott Seoul Botanic Park and Four Seasons Hotel Seoul. What hotels in Seoul have nice views? 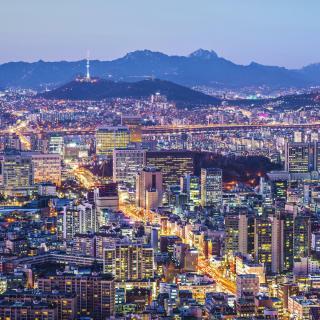 Signiel Seoul, The Shilla Seoul and Tong Tong Petit Hotel have received great reviews from travellers in Seoul regarding the views from their hotel rooms. Which hotels in Seoul are good for families? Many families visiting Seoul loved staying at Park Hotel Yeongdeungpo, Seoul, Tong Tong Petit Hotel and L'Escape Hotel. The average price per night for a 3-star hotel in Seoul this weekend is MYR 750 or, for a 4-star hotel, MYR 1,009. Looking for something even fancier? 5-star hotels in Seoul for this weekend cost on average around MYR 2,192 per night (based on Booking.com prices). The history, the people and the city are fantastic and a pleasure to visit if you want every experience. Big City, history on every corner, fabulous citizens, amazing food and markets to solve anyone's tipples plus be in the country in a subway trip. Visit Seoul, you will love it. Seoul is a very lively and entertaining city. Seoul is a very lively and entertaining city. It’s got historical sites for those interested in history and culture, lots to do at night and great entertainment all round. Don’t have to walk far before watching a singer or dance group on the street. If like me you don’t like crowded places, I’d suggest you check out Myeongdong in the daytime first to see everything that’s available, and come back at night for the food stalls. Many halal options available for Muslim travellers. Great transport system. Clean efficient subway. It is quite a distance from the airport but the buses are very efficient and timely. Bought a travel card at the airport which gives a discount on the airport bus transfer and can be used on the subway, convenient stores and discount on attractions and places to eat. There are some excellent museums - highly recommend Korean War Memorial Museum. Also recommend a trip to the DMZ - very interesting. Massive choice of places to eat for all budgets. Lots of great markets for souvenirs and foodstuffs. There are many palaces, historic monuments and areas of parkland and more rural areas for walking and trekking. Three days were not enough. Hostels in Jongro and Hongdae have reasonable prices and very well looked after. Itaewon is probably good for night out specially for foreigners because most of staff in the area can speak English but definitely not good for staying... Hongdae is also good for night out, cheaper than other districts. During the day it’s good to visit palaces, Jongno streets, traditional markets. Some places offer free entry for wearing traditional clothes “hanbok” which you can borrow near palaces for around 20,000won for 3hours. It’s recommended to use public transportation, very convenient and cheap. A lot of local do not speak English. Busy city with lots of things to do for both adults and small children. Stroller friendly with lifts at every subway station and even free pram hire at department stores. We went to a lot of kids cafes and museums. Our favourite place was aquafield in hanam. An awesome experience for families with small children. The guesthouse is located near to the subway station line 4 and 6 (samgakji) which the same line with tourist attractions place like namdaemun, myeongdong, dongdaemun design plaza (DDP) and itaewon. You can easily transfer from airport railway at seoul station to this subway station. Jack the manager of YaKorea! are really helpful since he will reply all the email ASAP if you have any questions regarding on your booking. The guesthouse is really clean and comfortable. I really enjoyed my stay there, will choose this again for the next trip!! Really enjoyed my stay at this hotel. Comfy room and bed. Staff were all helpful, friendly and most of them speak English so I had no issue communicating with them. Hotel is just across Myeongdong shopping street. Myeongdong subway station is just a couple of minutes walk from the hotel. Airport bus stop to and from hotel is also nearby. Convenience stores, coffee places and halal reataurants, eg. Kampungku and Busanjib are within close proximity. Will definitely book this hotel again the next time I visit Korea. It was very charming, clean and quite near to Myeongdong shopping area, bus and train stations. It had everything one needs for a comfortable stay. The managers and staff were all very nice, friendly and professional at the same time. Manager Sangnim was extremely helpful and we were very grateful to him. Our stay in the hotel will form part of our fond memories of Korea. We will recommend it to friends and would love to stay there when we visit Korea again. Definitely loved the hotel! Fantastic location in the famous Myeongdong shopping street..near to Seoul Subway line 2 Eijiro 1ga station which is accessible to Seoul main attractions: Dongdaemun, Hongdae, Ehwa & many more. Hotel staffs are patience & professional. Have been staying at Metro Hotel since my last annual visits in 2013...Saw alot of great upgrades & extension to create space. Love the daily breakfasts that feel like home. 💖🤩 Great place to stay when you are in Seoul!! We loved the location of the hotel in Gangnam. 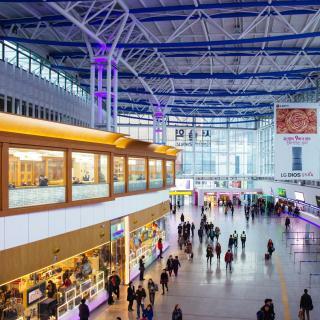 It was close to many cafes and restaurants, the Coex and Parnas Malls, and the metro. The staff were very friendly and helpful and the rooms were very cosy. An added bonus was the laundry allowing us to catch up on some washing. The breakfast was very good with a range of Korean and western foods, but was the same every day. Since most all traditional Korean accommodations are guest-house based which we don’t like, finding and deciding to stay at this hotel wasn’t take that long. The room is clean(Even toilet floor is heated), staffs are kind, and Korean-style breakfast is awesome. Wanna suggest to guests to try traditional costume which the hotel offers for free definitely. The location! Its a few steps away from the airport bus stop and the subway station. The hotel is near Korean marts and not so close to the hustle and bustle of Myeongdong at night. I appreciate that the front desk staff was friendly, welcoming and accomodating. Its a bummer i didnt get the lady’s name in the front desk. The location is very close to subway station and strategic location if you want to go shopping in hongdae. The house is clean and very good hospitality from the owner. It's recommended place to stay for holiday in korea. I'm surely will stay here again if i travel to korea again. +- 10 minutes walk to Dongdaemun Plaza. The hotel is in a great location because you can take a cab to Myeongdong for under 3500krw. The Breakfast is AMAZING - western and korean food. The hotel is super clean and staff speak English. The roof top sunset is a thrill too. The staff are very nice and pantient, The room is clean & comfortable The hotel is nearby MTR station and many famous sight spot, it's very convenient. We have a great time for this trip and strong recommend to any people to stay here when come to Korea. Hotel was very clean, very nice staff. Great value for money and great location. 1 minute from the metro station, 1 stop to gangnam, and the hotel shuttle stop is just outside (15,000 won to Incheon airport). Very good hotel for the price. Proximity to airport shuttle bus stop and subway; cafes around the hotel; cleanliness of the room; easy 4 to 5 mins walk to Myeondong shopping area; can reach other places by taxi cheaply (e.g., Gangnam was only ₩11000 from the hotel). Honestly location was amazing!!! The airport limousine bus stop is just abt 1-2 mins walk and Myeongdong shopping heaven starts behind the hotel. Definitely recommending my family and friends to stay at this hotel! Like the location as it is very convenient area to Myeongdong shopping street, Cheokbokgung Palance, Namsan Seoul Tower. And best thing is Airport Limousine Bus is just right in front of the hotel lobby. Super clean room. One of their staff speaks good English and also very kind, it's very rare in South Korea. Close to Myeongdong shopping district but nicely quiet. 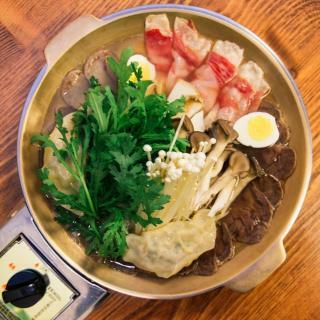 It was in the center next to the food market, you can enjoy the taste of Korea, Japan and China there. You can even walk to Myeongdong within 30 minuets from the hotel. Nothing. Our stay at this hotel pretty much ruined our holiday in South Korea.